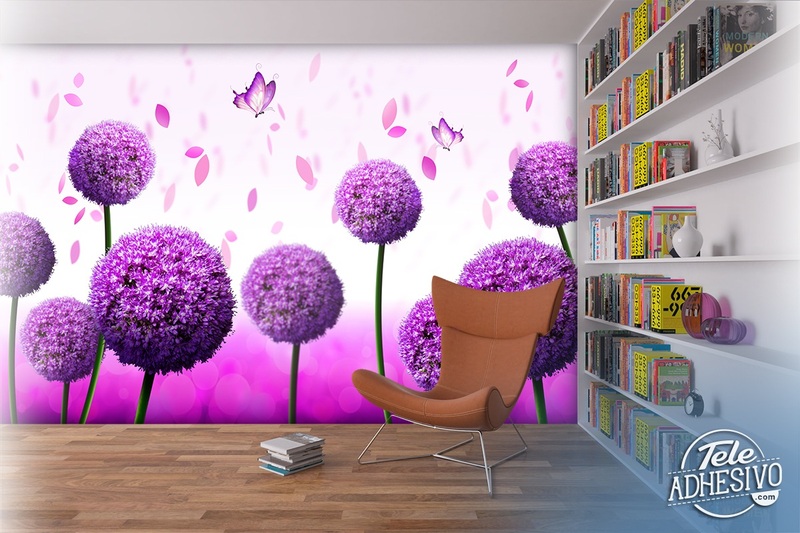 Wall mural Garlic flower. 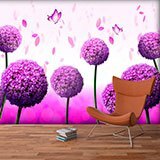 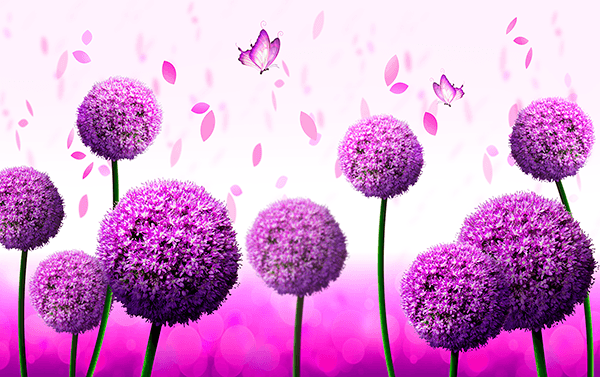 Fantastic image of several purple garlic flowers of different heights, with petals and butterflies in the air. 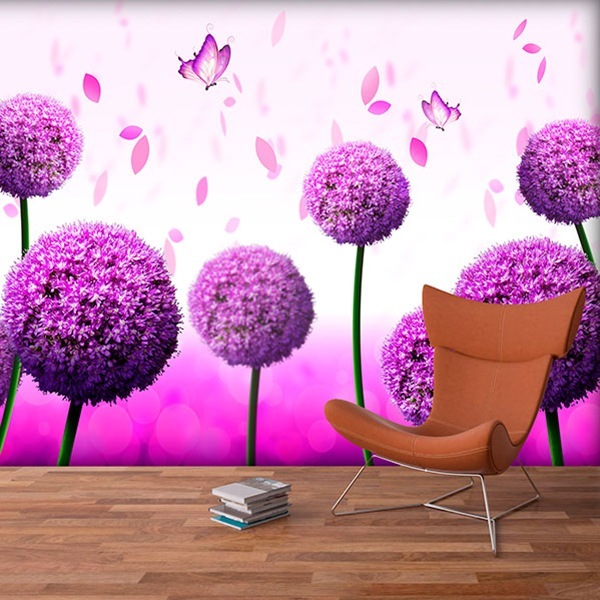 Spectacular composition to decorate almost any room in the house, from the kitchen, to the bedroom or hallway, as well as a business.